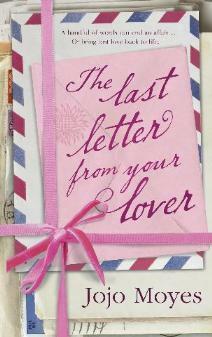 I had heard about Jojo Moyes, but had never read a book by her. I came across this book in the ‘Just Returned’ section in my library and picked it up. Just to give it a try. Lou Clark finds her self unemployed, with no advance notice, and has no clue what she is supposed to do next. She clings to the familiar. She has lived in the same place all her life, worked in a tea shop, buttering tea cakes, and is suddenly pushed out of her comfort zone, when forced by her lack of skills and jobs, into becoming a carer for Will. A job that she has neither the experience for, nor the interest. The only thing that is attractive is the pay check. Of which she and her family are in dire need of. To add to that, Will is not the easiest patient to take care of. Will Traynor, is an attractive young man, in his thirties, with his life ahead of him, which looks completely bleak to him after an accident renders him a quadriplegic. His whole world changed in an instant. From an active, interesting life in London, his life is now full of hospital visits, round the clock carers and physiotherapy. He feels low, joyless and knows what exactly he needs to do to change all that. Until Lou bursts into his life with colour and eccentric tastes, slowly chipping away at his grumpy exterior. The time that they spend together changes things for both of them. Will, physically trapped in a life that he hates, and Lou, mentally trapped in a life that she has got used to, and refuses to change. So much so that she hangs on with a boy friend who she knows that she does not love. I wish I could write more but anything more, and I think I would give away the story, and really this is a story you should read blind, without knowing much about the plot. Let me tell you what I liked about the story though. Both Will and Lou are believable characters. You can understand Will’s frustration, being paralysed neck down. His reactions to anyone who tries to help him. You connect with Lou, her whole exuberant personality, her insecurities as well as her single-minded focus when she decides to do something that she feels is important. She is a wonderful character. I loved Lou’s family, cute, and crazy, while being supportive. So is it a romance? Well, there is romance, but there is so much more. So much more. It addresses a highly controversial topic and deals with it in an extremely sensitive manner. It makes you think, to say the least. You end up empathizing with every character involved. You can’t help wonder what you would have done as Will, Lou or Will’s mum and dad. Such a tough topic and what I really liked was the way the author has handled it. Sensitively and beautifully. 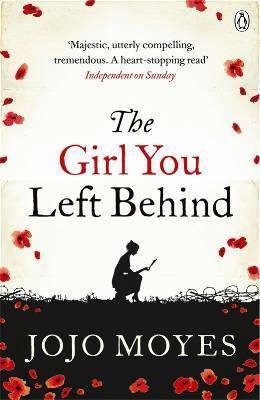 It is a book that makes you cry, makes you debate with yourself, makes you wish you could magic away such situations with a magic wand. And ultimately, you understand the stance that the different characters take. I am so glad that I picked up this book. It is an excellent read, but do be prepared to go on an emotional roller coaster. I loved it and would definitely recommend it. I would rate it a 4.5/5. 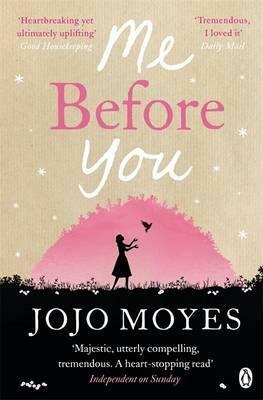 Jojo Moyes is a British novelist. Moyes studied at Royal Holloway, University of London. She won a bursary financed by The Independent newspaper to study journalism at City University and subsequently worked for The Independent for 10 years. In 2001 she became a full time novelist.